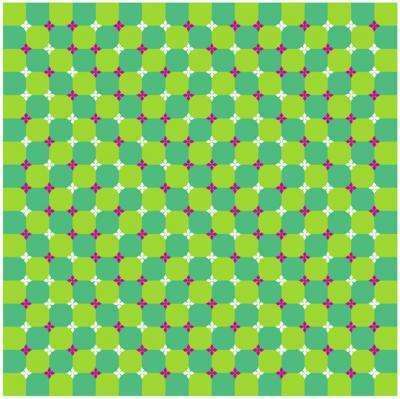 WARNING: Some of the pictures may cause dizziness or epileptic seizures. If you start feeling unwell, immediately cover one eye with your hand and then leave the page. Do NOT close your eyes as this may make the attack worse. Take a look at the image above. 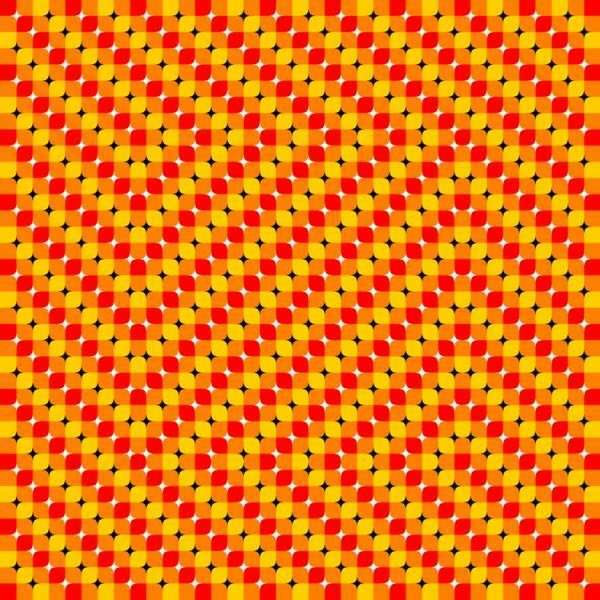 It might look like it's moving, but in fact the image is completely still. The movement you think you're seeing is actually caused by a slight "hiccup" in how the visual information from the image is transmitted to your brain. 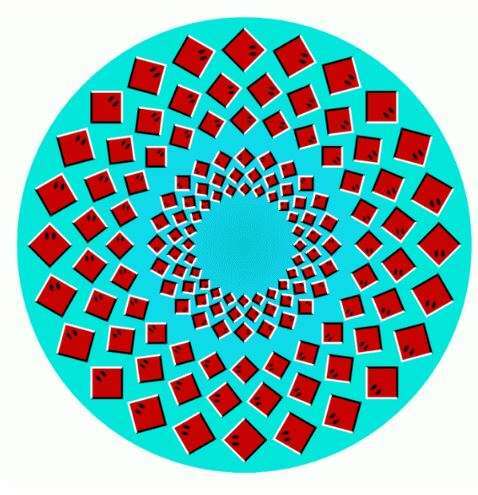 The image – entitled "Rotating snakes" - is the work of Professor Akiyoshi Kitaoka of Ritsumseikan University in Kyoto, Japan, a man who has spent more than a decade creating optical illusions and studying how the eyes and brain work together. 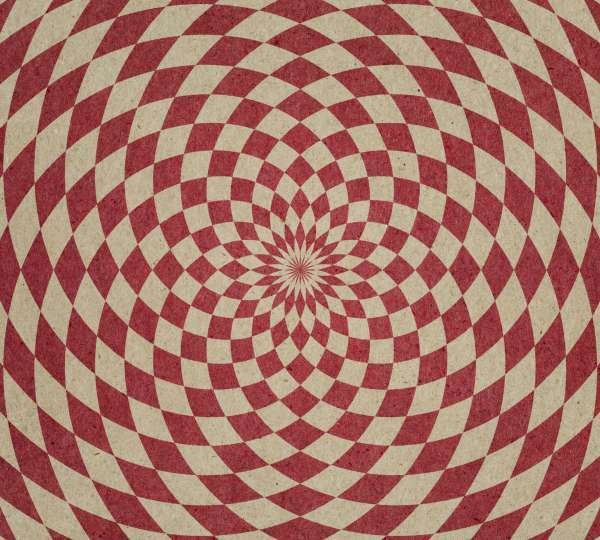 Originally an expert in animal psychology, Professor Kitaoka decided to focus on optical illusions after looking into their effect on monkeys while working at a prominent Japanese neuroscience institute. He began designing the images in the mid-90s, and has since created hundreds of different illusions. Each design is created through a process of trial and error, or based on experiments he's conducted. 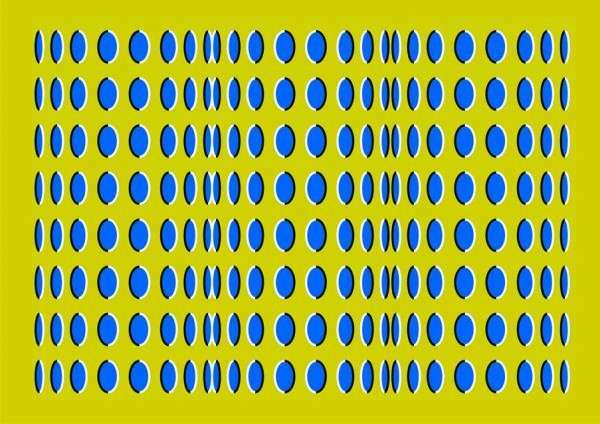 The optical illusions that Professor Kitaoka has created use colour, light and patterns to create neural impulses that deceive or mislead the brain. The information collected by the eye is processed by the brain, which tries to make sense of the different colours and patterns. The resulting disconnect confuses the brain resulting in the sense of movement viewers experience. While the images are created through scientific research and technology, Professor Kitaoka has said they can equally be enjoyed as works of art, showing the unique ways our eyes and brain function together to make sense of the world around us. To learn more about your eyes and get a complete eye exam, visit an Visique near you.